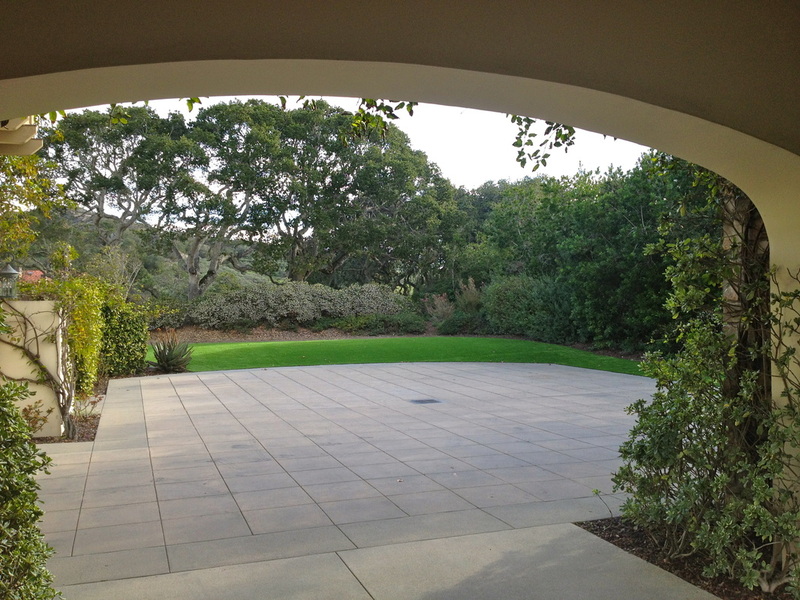 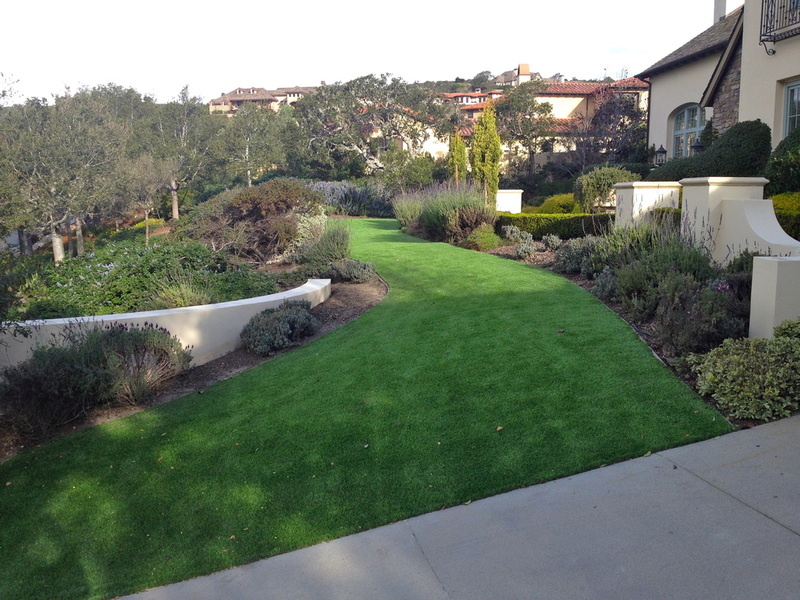 Zero water use lawns !! 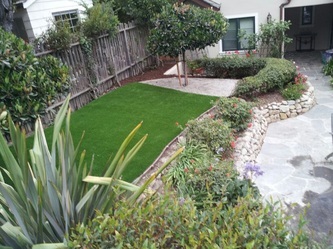 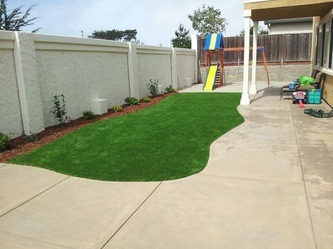 If you like having a lawn but are concerned about the high, increasing cost of water a good option may be synthetic turf. 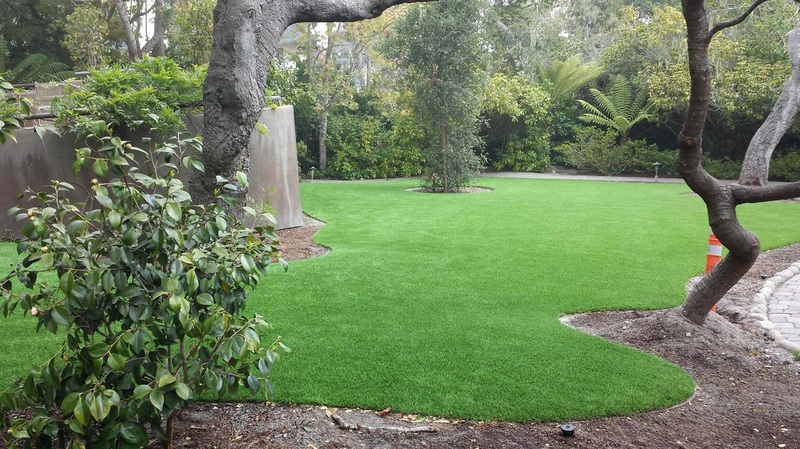 Synthetic turfs have come a long way since the first types of artificial turf many years ago. Today's offerings look as natural as can be, require no water or maintenance and beautify your yard. GSL can show you the options and help you reduce your water consumption. 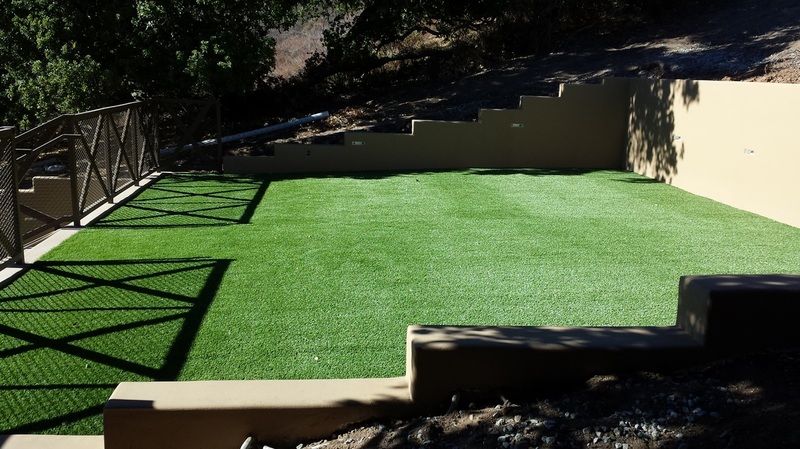 Did you know that on average a 1,000 square foot area of natural turf requires approximately 30,000 gallons of water per year? 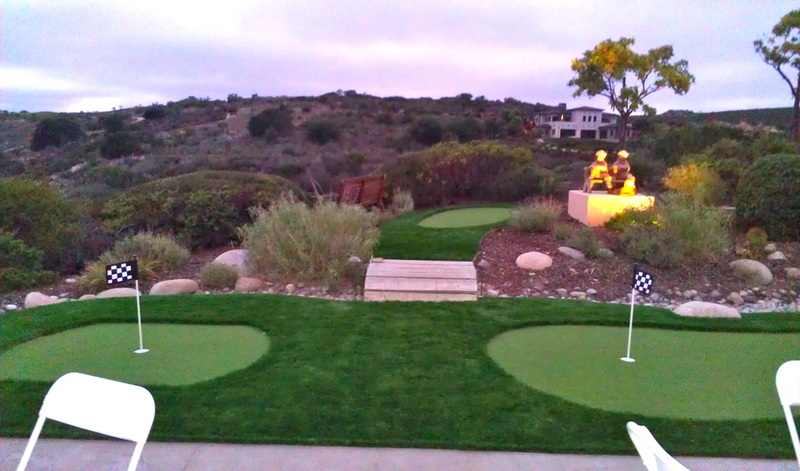 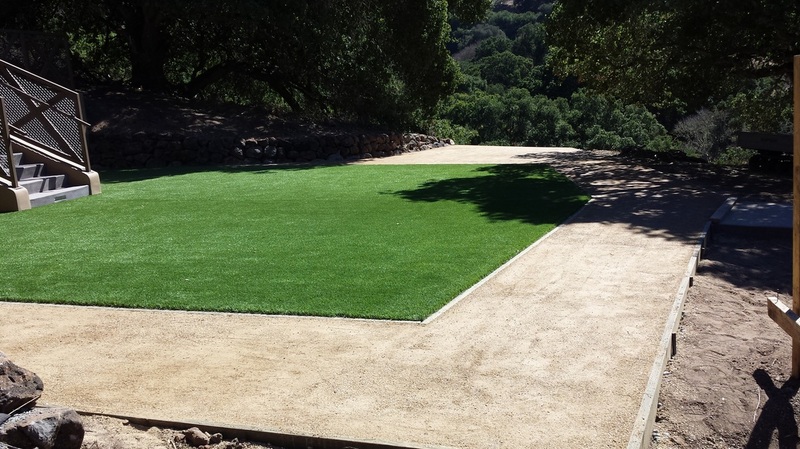 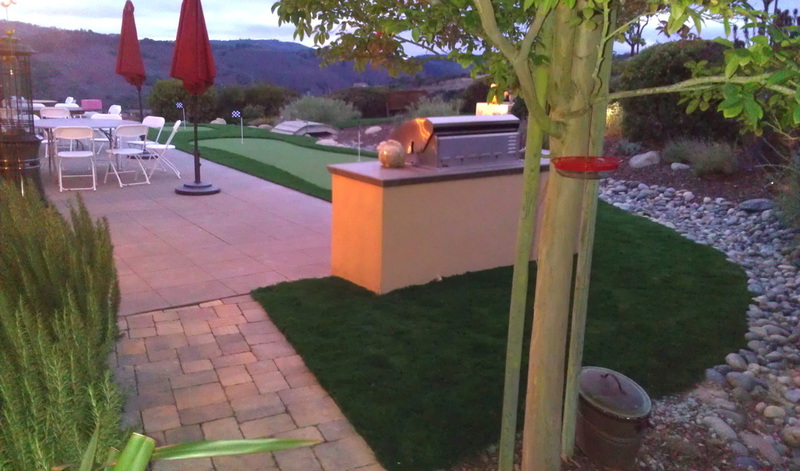 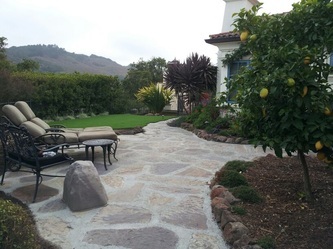 When you look at the cost in time and money natural turf requires, synthetic turf may be right for you. 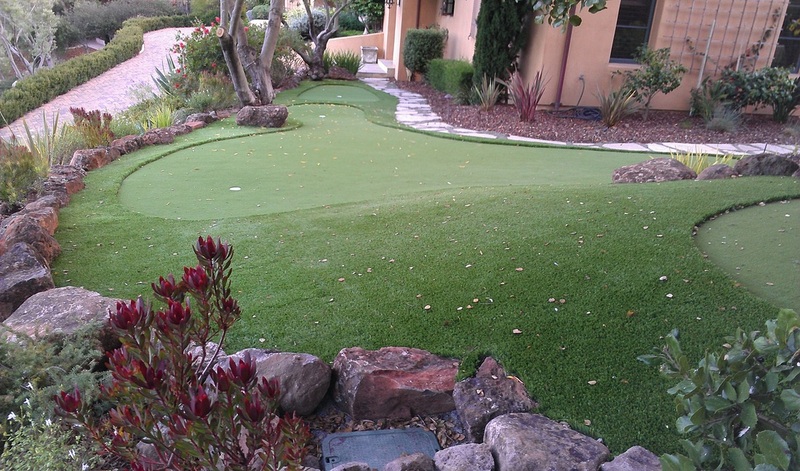 Another great option if you want your turf to have a softer feel is to add a foam pad under the synthetic turf. If you have young kids playing on the turf a softer feel would be great for rough and tumble activities. 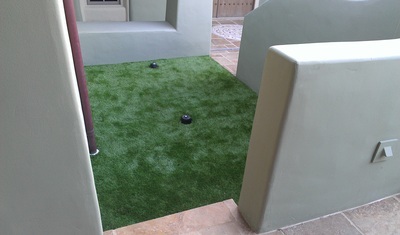 The following picture is the finished product. 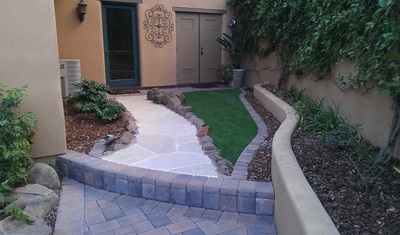 Other before and after views of GSL installs. 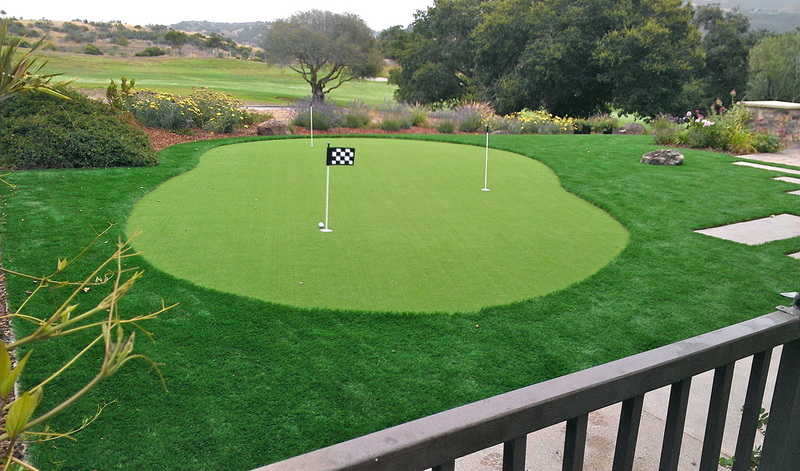 No maintenance or water required, and you can work on your golf game anytime you want too!! 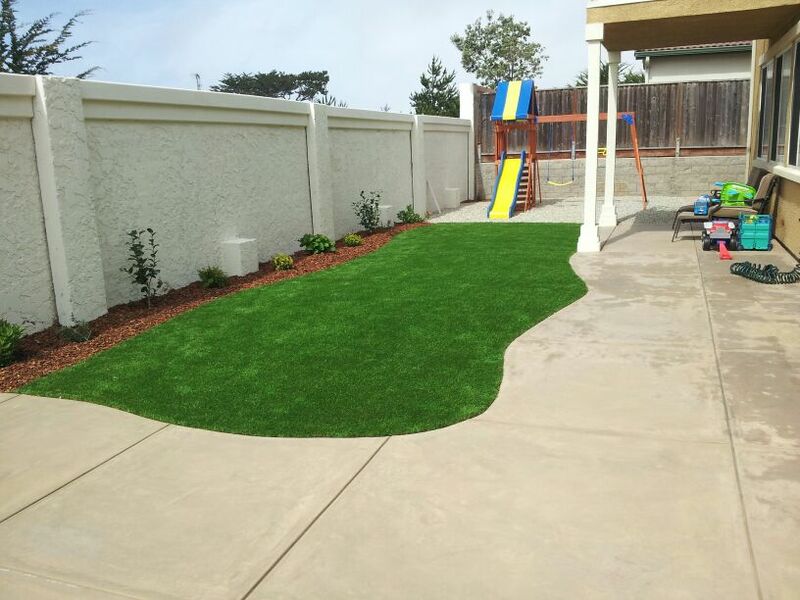 Approximately 800 square feet of synthetic turn in Seaside. 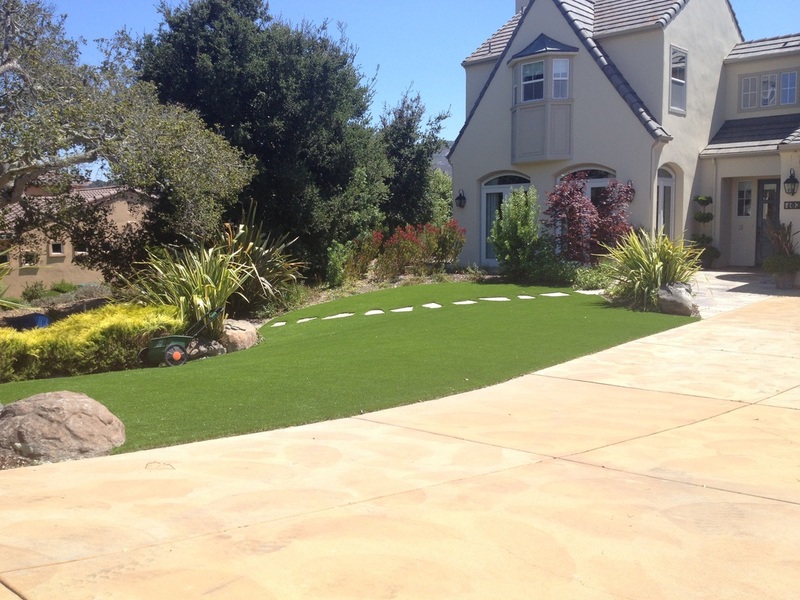 This will save the homeowner thousands of gallons of water per year.